Self-storage units can provide a safe, secure location for items that you don’t need on a regular basis. It can instantly clear up space, leave your home or business more organized, and can put your mind at ease that your items are well protected and cared for at all times. All storage units at any Value Store It facility are constantly monitored and enjoy additional safety precautions to ensure your items are always protected, day or night. However, there are certain situations where climate control storage can provide a better solution for your delicate items. Climate control storage keeps all items at a constant temperature, humidity level, and environment, so your items are not affected by external elements. In certain states, temperatures can fluctuate greatly with the seasons, which can be very damaging for some items. Climate control units are usually a bit more expensive, but the benefits far outweigh the cost. And remember, it’s always easier (and more affordable) to safely store your cherished items than it is to replace them. Depending on where you live, mold, spores, and bacteria may also be a common problem, due to the wet environment in fall and winter months. Climate control units can combat this problem. They are enclosed, so they can resist dust, humidity, extreme temperature changes, and pests. This will help protect your valuable items from yellowing, warping, weakening, splitting, or cracking. Items that are stored for a long period of time may do better in climate control storage. Because the temperature and humidity level remain constant, you won’t need to worry about your items becoming affected by moisture or extreme changes in temperature. By locking out dust and pests, you unit can also stay cleaner for longer, which is especially ideal for long-term storage needs. If you will be visiting your unit frequently, the superior conditions of climate controlled units may be preferred. Your unit will be at a comfortable temperature (between 55 – 85 degrees) and your items will be in exactly the same condition. For particularly hot or humid areas of the country, having a comfortable climate control unit that you can go to whenever you like can get you out of your hot, uncomfortable surroundings. When your unit is comfortable and at a good temperature, you won’t be in such a rush to get in and out. Visit a location near you for a personal tour, or contact Value Store It for more information on how climate control storage works and whether it’s right for you. 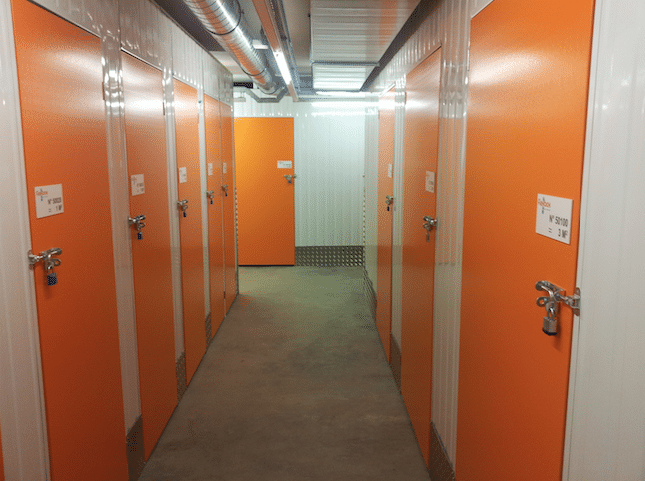 We can provide the information you need to determine if our safe, secure self storage units are right for you, or if the added protection of climate control storage is necessary.